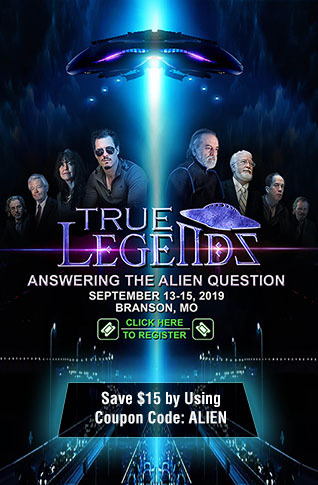 All across the country we are now seeing preparation for the collapse of the entire system as documented in the pictures and videos below. 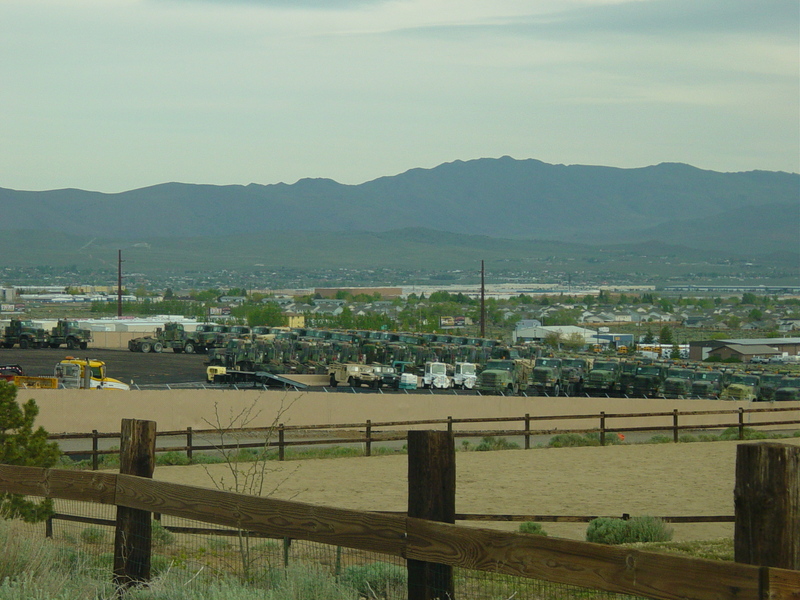 From Nevada to Virginia, from Texas to Arizona we see more proof that the US military and government are preparing for something huge and in the 1st video below from Dahboo7 we learn that what they are preparing for is much bigger than Jade Helm 15 . 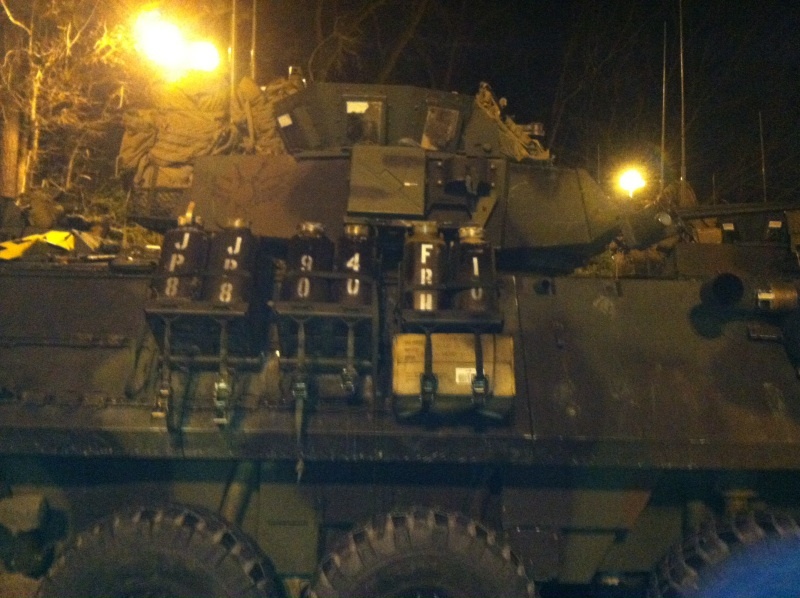 All News Pipeline reader John Favere from North Port, Florida has emailed us the pictures seen above and at the bottom of the story showing a battery of tanks taken at a Virginia rest stop parking lot and asked us to publish them along with his comments that, as a frequent traveler, he has been seeing military nearly everywhere in his travels recently and is quite concerned about Jade Helm as being much more than 'exercises' for Texas and the deep south with military now seen across the country. 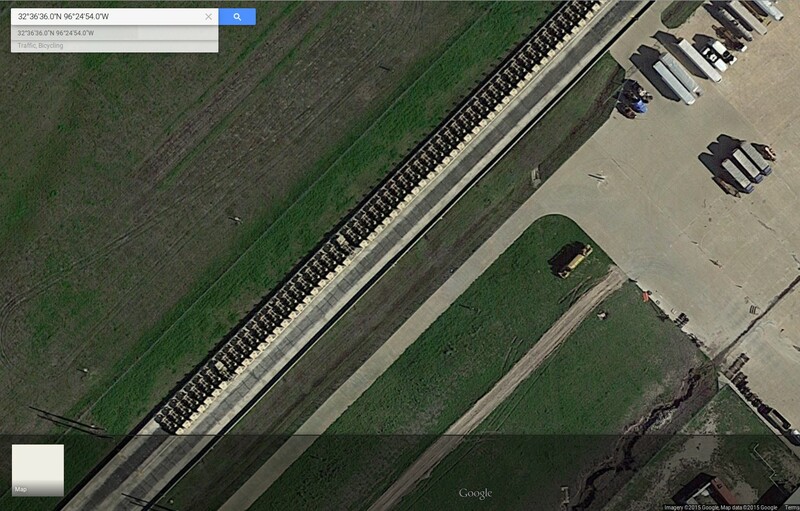 With citizen photographers and reporters across the country taking Jade Helm reporting on the militarization of America into their own hands, another ANP reader sent us an observation of his own via Google Earth of a military buildup of some sort going on at an abandoned drag race strip just south of Dallas, Texas. While it's difficult for us to determine what these vehicles are, you can check them out yourself via Google Earth at coordinates N32 36'36" W96 24'54" or via Google Maps here. A retired US Marine believe that they may be a line of portable generators being stored here...any thoughts of what these might be? For anyone who lives in the Dallas area and wants to check these out yourself at the former Dallas Raceway, which is now closed, the address they are seen at here is 8055 W US-175 outside of Crandall, Texas. Please email any pictures you might get of what these vehicles are to [email protected] and we'll happily update this story. This image was taken in 2015 according to the copyright from Google Earth. Much more below including videos with DAHBOO777 telling us about 'ARSOF' Operating Concept 2022 and the reality of US borders soon being erased. Another ANP reader who has spent the last 15 years of his life in the US Army has emailed us this: "I believe those trucks are called PLSTrucks. PLS stands for Palletized Load System. 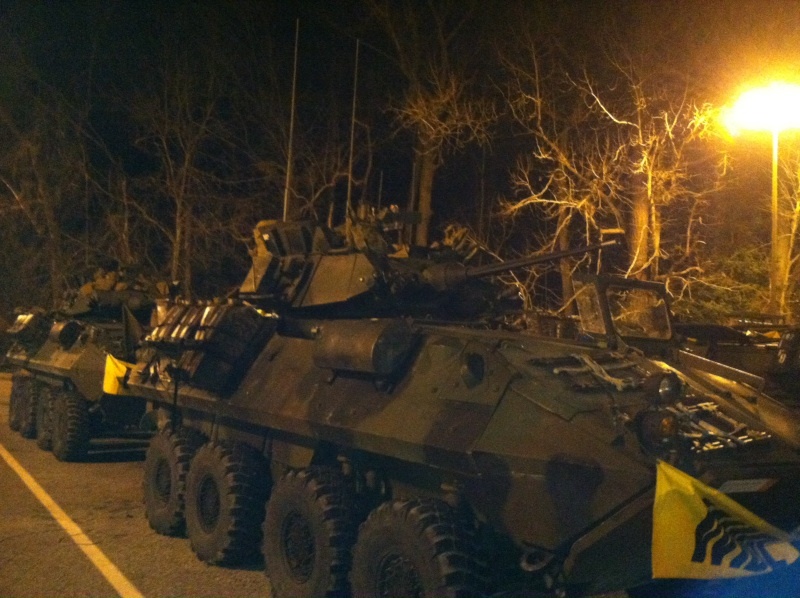 They can carry anything that is loaded onto a military pallet/skid." 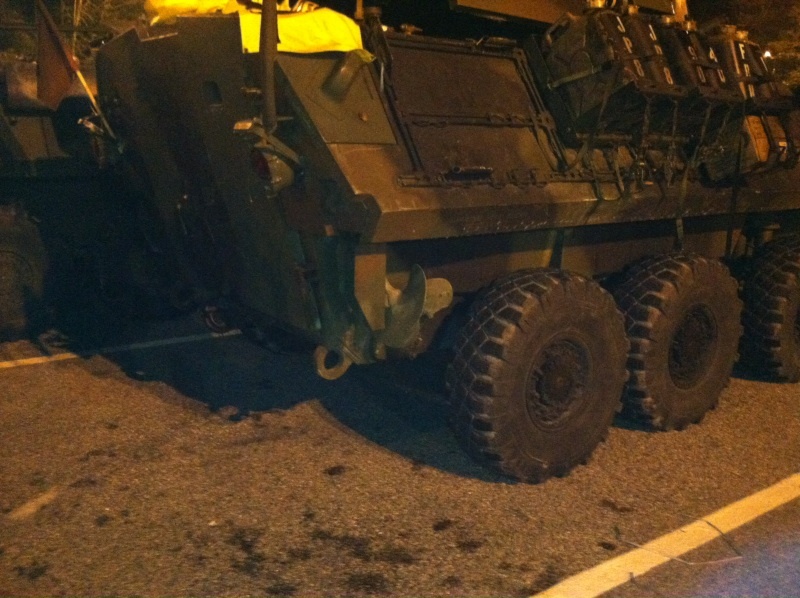 We were also sent the following picture with description of another military vehicle buildup, this in Nevada. I was traveling down Old 395, Virginia street heading North, Reno, Nevada. I was between the Golden Valley, and Lemmon valley exit.I have seen this property being fixed up for a while, no name or nothing on it. Just a heavy duty fence around the property. It has always been empty. Until last week. I drove by and was shocked to see, at least 60-75 transport, hummers, and other strange vehicles in its yard. We have Stead military base about 3-4 miles away. Strange place for all of these you think. I will keep you informed if I should see more things happen. 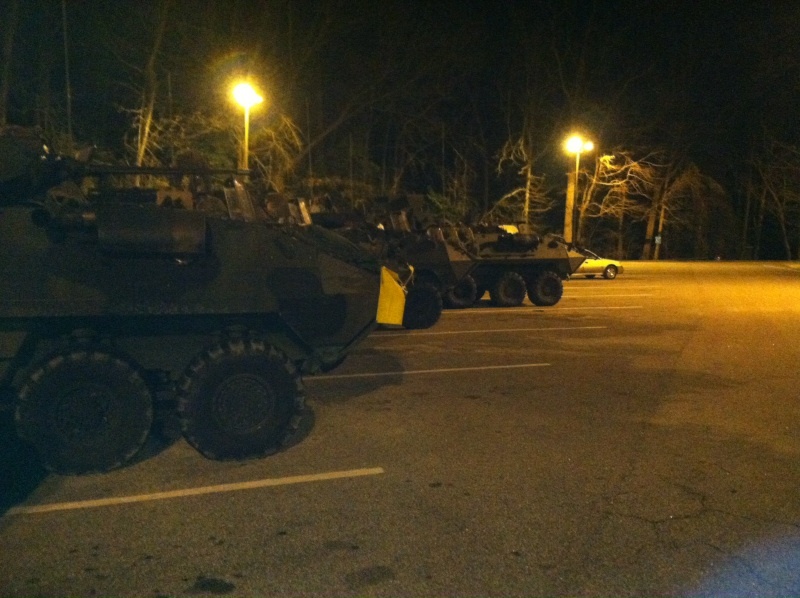 John Favere emailed the following pictures to All News Pipeline showing a line of tanks at a Virginia rest stop just north of the North Carolina border. We thank John, a man who describes himself as being dedicated to seeking and speaking truth, for sending us these pictures. Dahboo7 tells us about something much bigger than Jade Helm 15 in this video; ARSOF 2022 and the end of US borders. In the video below, US Marines practice subduing hungry and thirsty US citizens at FEMA camps aka internment camps. If this IS NOT in the future for American citizens and our public servants, WHY are they now preparing for this? In this last video we hear from Gregory Mannarino and the X22Report why this is one of the most dangerous times in human history and 100+ million people will likely die...the entire economic system is coming down. The central banks… by us adopting a debt-based economic model, which demands that cash be borrowed from the future in greater and greater amounts to sustain what we have here, have created an alternative universe which would not exist. If we did not have access to all of these funds that we’re borrowing from the future and inflating this debt we would not have the lifestyle that we have now.